The aim of this paper is to analyze firm performance when using e-invoicing on a regular basis. 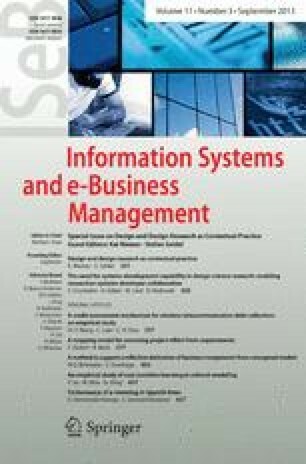 We propose that the habit acquired using this information technology (IT) is an important antecedent of users’ perceptions, since it allows them to value the characteristics of and benefits derived from e-invoicing. We study the effect of habit on perceived usefulness, security and users’ trust in the IT. The sample analyzed is made up of 100 Spanish firms that use e-invoicing. The causal relationships proposed in the model are tested through structural equation modeling. Our findings show that the habit of using e-invoicing improves firms’ trust in this IT and their perceptions of its usefulness and security. These factors explain the subsequent performance of firms when using e-invoicing. To improve their performance with e-invoicing, firms should use the IT frequently. Habit creates a positive information feedback loop and will allow firms to benefit from the advantages of e-invoicing. Other aspects such as security, usefulness and trust should be also considered.